The Prem Rawat Foundation (TPRF) has given a grant of $20,000 to the Cambodian Children's Fund (CCF), its second grant in two years, to provide food for 1,076 people trying to survive in the landfill district of Seung Meanchey, one of the most toxic garbage dumps in Southeast Asia. The children living here typically spend their days scavenging for food and recyclables, regularly suffering injury and disease as well as malnutrition. The estimated child mortality rate is 20%. The TPRF grant will provide food year-round for four residential educational facilities, the Community Child Care Center for preschool children, and the Community Cafe. Scott Neeson, Founder and Executive Director of CCF, expressed, "The Cambodian Children's Fund serves one of the most impoverished and deprived populations in the world. The Prem Rawat Foundation grant provides our community with an assurance that their basic food requirements will continue to be met. With so many ambitious plans to save the world, the beauty of Prem Rawat's work is in its simplicity: feed the impoverished." The Prem Rawat Foundation (TPRF) has made a grant of $25,000 to help the internationally known WaterAid charity continue its projects throughout Asia and Africa to provide people access to safe water and proper sanitation. The findings are staggering: As many as one in eight people in the world (884 million) do not have access to safe water; as many as 2.5 billion people (40% of the world’s population) do not have access to sanitation; and about 1.8 million children die every year as a result of diseases caused by unclean water and poor sanitation. The Prem Rawat Foundation donated $50,000 to sponsor five eye clinics in poor, rural areas of India during November and December, 2008, with its partner, Premsagar Foundation India. Clinics were held in Ranchi (four days), Hyderabad (three days), Jaipur (three days), Dausa (two days), and Delhi (four days). Doctors and optometrists examined nearly 9,700 people, giving eye drops for infections to over 8,500 and providing over 6,400 pairs of glasses. Cataracts were identified in over 1,000 people, who were referred to specialists. The Prem Rawat Foundation (TPRF) has extended its work with Compartimos Bienestar y Salud Para Los Ninos Maya I.A.P. in Mexico to provide a breakfast program for the 59 students of Alfredo Peniche Erosa elementary school in San Pedro Chenchela, Espita, Yucatan, through the end of the school year in June 2009. San Pedro Chenchela is a small Mayan community with only one elementary school. Typically, the children there come from families trying to cope with severe poverty. They arrive at school hungry, as the only breakfast available to them at home is a hot drink made from soaking burned tortillas in water and sugar, simulating a kind of "coffee," sometimes accompanied by a taco with a little tomato. Malnutrition in the area is rampant. The Prem Rawat Foundation (TPRF) has made a contribution of $15,000 to the Rotary Club Lahore Mozang, which will add $5,000 in matching funds, to provide clean drinking water for 60 schools in the Punjab region of Pakistan serving approximately 20,000 elementary through high school students. The Prem Rawat Foundation (TPRF) has made a contribution of $20,000 to help St. John of Jerusalem Eye Hospital continue providing care in conflict-ridden Gaza. The only charitable provider of eye care in Gaza, St. John is open to all patients, regardless of race, religion or ability to pay. he Prem Rawat Foundation (TPRF) has made a grant of US$25,000 to ORBIS UK, a beneficiary of the 2008 Lord Mayor of the City of London's Appeal, to support ORBIS UK and the Lord Mayor's Childhood Blindness Programme in India. According to ORBIS UK, India is home to almost 20% of the world's blind children. Over 320,000 children under the age of 16 are totally blind, while even more are visually impaired and at risk of losing their sight. At least half of these children could likely be cured with proper care, yet only 1% of India's ophthalmologists are trained to treat children. "This donation will certainly make a real contribution in achieving our aim to make the lives of future generations brighter," says Wendy Lloyd, director of the Lord Mayor's Appeal 2008. "It is enormously encouraging to receive such fantastic support." TPRF is donating $250,000 to build and maintain a sustainable "Food For People" facility in Tasarpu village, Nepal. Premsagar Foundation Nepal, a charity seeking to relieve Nepal's poor, will spearhead the project. The Tasarpu center will provide nutritious hot meals year-round to approximately 500 children. TPRF has made a grant of $100,000 to Community Water and Ecological Sanitation Care (CWESC) to provide 10 impoverished communities with potable water and proper sanitation essential to eliminating debilitating diseases associated with contaminated water. The grant is the third in a series that will help a total of 23 communities and nearly 100,000 people in Ghana. The Prem Rawat Foundation (TPRF) has granted America's Second Harvest – The Nation's Food Bank Network US$40,000 to provide food and water to those stricken by recent flooding in the Midwest. America's Second Harvest, the largest charitable domestic hunger-relief organization in the United States, will use this grant to work closely with local food banks to bring food and water to those affected by floods, many of whom have been forced to evacuate their homes. The Prem Rawat Foundation has donated US$15,000 to the China Disabled Persons' Federation (CDPF) to provide food and bottled water for survivors of the 8.0 magnitude earthquake that devastated southwestern China's Sichuan Province on May 12. CDPF is a respected charity that specializes in attending to the needs and rights of disabled people in China. They were quick to respond to the staggering affects of the earthquake that has left almost 70,000 dead and more than 370,000 injured. The alarming casualties in Myanmar (formerly known as Burma) from Cyclone Nargis continue to rise on a daily basis. With a grant of at least US $100,000, TPRF is partnering with Friends of the World Food Program (FWFP) to help the UN World Food Programme (WFP) bring immediate aid to the hundreds of thousands of survivors who have been stranded without food, shelter, or potable water. TPRF has offered a US$50,000 challenge grant through the Facebook “Causes” page to help thousands of people at risk of starvation in Haiti due to the recent dramatic rise in food prices. TPRF’s challenge to Facebook members is to raise an additional $50,000, for a total of $100,000, which can supply food for 60,000 people for one month. The Prem Rawat Foundation has donated US$10,000 to the Koulawa NGO organization in Niamey, Niger, to provide food for more than 250 disabled women and children, who are in various education and training programs. TPRF has donated $20,000 to the Maryland-based Correctional Education Association (CEA) to underwrite the costs of telecasts on the Transforming Lives Network (TLN) that present Prem Rawat's message of hope and the possibility of personal fulfillment to U.S. prison populations. TPRF has donated $26,000 to Montañas de Esperanza or Mountains of Hope (MdE), a local non-profit in northern Ecuador, to provide relief to flood victims in the coastal village of Santa Lucia. The grant will supply 32 tons of vital food supplies to feed 1,500 families (c.7,500 people) for one month. This will be one of the largest deliveries of aid to flood victims by a non-government agency on the Ecuadorian coast to date. TPRF made a significant contribution to the Joaquim Chissano Foundation (FJC) to provide clean water systems for about 11,000 people in Zitundo in Mozambique. Last November, The Prem Rawat Foundation (TPRF) made a grant to Compartimos Bienestar y Salud Para Los Niños Maya I.A.P. to aid people affected by the massive flooding in the Tabasco area of Mexico. Over 150 families have now been helped with much-needed clothing, and 40 local farmers have been helped to plant new crops. The Prem Rawat Foundation (TPRF) responded quickly to aid victims of the violence that erupted following the December 2007 elections in Kenya. A significant contribution was made to the Friends of the World Food Program (FWFP) to help the UN World Food Programme (WFP) provide food for the hundreds of thousands of Kenyans who were displaced. The Prem Rawat Foundation (TPRF) made a significant contribution to the Betterment of Life Foundation in Thailand (BoLF) to provide clean, safe drinking water to more than 2,500 children attending 12 schools in remote areas of Thailand. TPRF is partnering with the Mexican nonprofit organization Compartimos Bienestar y Salud Para Los Niños Maya I.A.P. to deliver survival kits to stranded families in isolated areas that government agencies and other relief organizations have so far been unable to reach. The Prem Rawat Foundation (TPRF) held its fifth eye clinic for India's poor and received high praise from attending physicians. TPRF has made a grant to the Cambodian Children's Fund (CCF) to bring food and water to more than 300 children in three centers for children of very poor families on the outskirts of Phnom Penh, the capital. One child at the CCF shelter explained that she had felt like a flower that no one had cared for but that "now this same flower is taken to a new place where it can get water and care every day." In the last few months, the Foundation has responded to the plight of villagers whose homes had been destroyed by earthquakes and landslides on Java and Sulawesi in Indonesia. Shortly after the devastating earthquake in Peru this year, the Foundation partnered with Friends of the World Food Program to bring food and other necessities to people in remote areas where damaged roads and infrastructure were making relief efforts difficult. Prem Rawat presented a significant contribution to Action Against Hunger (AAH) in support of its “Children of Tucumán” initiative. The presentation took place during a special ceremony in Barcelona. Aid provided by The Prem Rawat Foundation has been successful in helping over 1,000 children and 300 women and their families who were victims of the flooding earlier this year in central and southern Mozambique. Food for People (FFP), an innovative food-aid initiative of TPRF in a tribal area of northern India, has been a resounding success. Responding to interest in other areas of India and also in Nepal, the Foundation would like to open three new facilities where the effort would give people the hope of breaking through the downward cycle of poverty and malnutrition. Nearly 40,000 Ghanaian villagers are enjoying clean fresh water and marked improvement in their living conditions due to support by TPRF for the UN Development Programme's Community Water Initiative. Magazia Saratu Mamuna, of Sanga, one of the nine communities helped, said, "I can't believe that we have good drinking water during the dry season. It's a miracle. We thank the people who have changed our lives." About 2,400 Indonesian villagers stranded by floods received emergency supplies for two weeks, thanks to a grant from TPRF to the Yayasan IDEP Foundation. The grant also helped bring clean water to about 5,000 people. After a typhoon buried part of Daraga, a town in the Philippines, more than 4,600 families and 27,000 people were left homeless, according to official reports. TPRF responded to an urgent call for help by making a contribution to bring food and potable water to the victims. 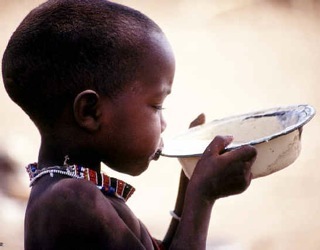 A proverb in Ghana says, "He who brings water brings life." Speaking at a ceremony commissioning a hand-operated well in the village of Azzar, home to 1,000 people, Mohammed Issah, an official of Ghana's Eastern District, said, "With clean water, we can go about daily life without having to worry about waterborne diseases." Another well was installed in Amagama, a village of the same size. These villages have no electricity, so the wells had to be dug by hand in rocky soil. TPRF made a critical grant to The Foundation for Community Development (FDC) to provide relief for the victims of the recent floods and cyclone in Mozambique. Graça Machel, FDC president of the board and Nelson Mandela's wife, said: "Thanks to your support, children, women, and families in the benefited areas can now cope with the extreme difficulties posed by the natural disasters. On their behalf, FDC would like to express its heartfelt appreciation." Following a grant by The Prem Rawat Foundation, five major community water projects have been completed as part of an initiative providing safe drinking water and improved sanitation in poor areas of Ghana. Magazia Saratu Mamuna of Sanga community said: "I can't believe that we have good drinking water during the dry season. It has never happened before. We thank the people who have changed our lives." TPRF has partnered with Oxfam of Australia to help develop and implement a breakfast program for indigenous schoolchildren in northern Queensland. One of the teachers commented, "When children have skipped breakfast in the morning, their levels of concentration are limited and they start to become disruptive. This project is making a difference with the children's learning development. At the check-giving ceremony near Brisbane, Australia, guests were welcomed by Des Sandy, a tribal elder, followed by a presentation on the project by the Oxfam representative, Jenny Sewter. After she was presented with a check, children from the Mornington Island School showed their appreciation and presented Prem Rawat some traditional gifts. TPRF has made a significant contribution to the UN World Food Program to fight hunger and HIV/AIDS in Bihar, India. Karen Sendelback, president and CEO of the Friends of the World Food Program, said: "We are very grateful for the Foundation's commitment in the fight against hunger. Thank you for the continued, dedicated support of The Prem Rawat Foundation for the life-saving work of the World Food Programme." The Prem Rawat Foundation announced that it made a critical grant to The Indonesian Development of Education and Permaculture Foundation (IDEP) supporting a program that is currently underway to provide relief efforts for the victims of the flash floods and landslides in Aceh and North Sumatra provinces of Indonesia. In recognition of the Foundation's contribution for flood relief, Petra Schneider, executive director of Yayasan IDEP, said: "We would like to express our sincere thanks to The Prem Rawat Foundation for the very timely support that has been provided for the relief efforts. On behalf of all of the beneficiaries of this program, IDEP Foundation would like to express its heartfelt gratitude for this opportunity to help these people in their time of great need." Responding to the recent Mideast humanitarian crisis, TPRF has made a significant contribution to Oxfam to bring clean drinking water, install water tanks, and rehabilitate sanitation facilities. Oxfam funds are used to save lives and reduce human suffering wherever it occurs on all sides of the conflict. During the recent conflict, water pipes, generators, pumps, and electrical networks were destroyed or severely damaged in the conflict, preventing people from receiving clean water. TPRF is expanding disaster-relief aid to the victims of a series of earthquakes and the tsunami that hit Java between May and July this year. Dr. Michael Ricos, one of the disaster-relief managers, visited a village and expressed his gratitude saying: "My hands were firmly grasped by an elderly lady with tears in her eyes and a smile that said it all." After repeated earthquakes and a tsunami hit Java, Indonesia, The Prem Rawat Foundation gave a grant to the Indonesian Development of Education and Permaculture (IDEP) Foundation to feed 900 people for three weeks. The coordinator of the Disaster Management Department, Dr. Ricos, said that the people in villages benefiting from this grant are "difficult to access and are not being targeted by other relief organizations." For the second time this year, The Prem Rawat Foundation has donated construction materials to provide replacement roofing for homes in the Cancun area devastated by Hurricane Wilma, bringing the total assistance there to 600 roofs for more than 3,000 people. Armando Garcia España, a recipient, said, "This help comes at the perfect time for me and my family, especially since the rainy season has begun again." After a massive landslide in the eastern Philippines, TPRF made a generous donation to the Philippine National Red Cross (PNRC) to provide nutritious food packs for 190 families for two months. Today there are still over a thousand families displaced from their homes and living in evacuation centers. Due to the continued danger of repeated mudslides, these people cannot return to their villages and have not yet found new homes. At this time, food and water are the priority for these people. The donation from TPRF will help PNRC in providing these basic food needs. After a magnitude 6.3 earthquake struck the island of Java in Indonesia and displaced over 200,000 people, The Prem Rawat Foundation partnered with the UN World Food Programme's relief operations in Indonesia to provide emergency food aid to survivors. "We are grateful to The Prem Rawat Foundation for this generous gift and their ongoing support," said Karen Sendelback, President and CEO of Friends of the World Food Program. "They have been such a wonderful partner in our work to get food to those in need." The Prem Rawat Foundation has been a steady supporter of WFP's work over the years, providing generous support for WFP's tsunami relief efforts in Indonesia, its emergency operations in Niger and Guatemala, and its global school feeding programs, among other operations. The Prem Rawat Foundation recently sponsored a two-day free vision clinic in a remote tribal area in Jharkhand, in northern India, where certified optometrists and ophthalmologists donated their time and expertise to help some of the poorest in India. Nearly 2,000 consultations were completed. Optometrists and medical doctors volunteering their time and skills at the clinic were impressed by the standards of the clinic. For Raminder Bir Singh, M.D., "It was a very well-organized camp run by the Foundation. This district is underserved, and medical facilities are very few. It was very helpful for the needy because there is no eye care facility in this area." This was the fourth vision clinic held by the Foundation in the last two years. 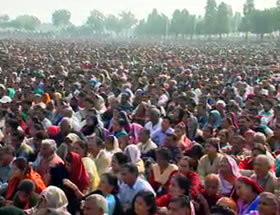 Prem Rawat inaugurated the first "Food for People" facility in a tribal area in northeastern India. The opening of this facility, funded by The Prem Rawat Foundation, marks the launch of an innovative model of food aid established by the Foundation in response to Prem Rawat's vision to help people most in need. The opening of the first "Food for People" marks the launch of an innovative model of food aid by the The Prem Rawat Foundation (TPRF), developed and operated in consultation with local village elders. With support from Premsagar Foundation, a six-acre plot of land was purchased, and a well-equipped facility was built. Fifty villagers were then trained to operate the facility to the highest sanitary and nutritional standards. Dr. Kamal Chand Singhal, representing the World Health Organization at the inauguration, said: "This valiant effort directly supports the efforts of the World Health Organization. The healthy food and clean water provided each day by Prem Rawat's Foundation at this impressive facility will help many children and adults in Jharkhand become less vulnerable to disease and death, and go on to live healthy lives. This is a noble and generous initiative, for which Prem Rawat and his Foundation need to be acknowledged and wholeheartedly thanked." After Hurricane Wilma blasted the Cancun area, a team of volunteers, working in conjunction with The Prem Rawat Foundation, provided roofing materials for people in two Mayan villages whose roofs had been destroyed by the hurricane. Several recipients sent a personal message to Prem Rawat saying, "We thank you with all our hearts for what you are doing." The entire project was organized by students of Prem Rawat, who is known internationally by the honorary title Maharaji. A team of nine volunteers surveyed the neighborhoods and spoke to residents to see who needed help. They hired trucks and six people to bring 25 tons of roofing materials from the city of Merida—about a four-hour drive from Cancun—and then they personally delivered the materials. 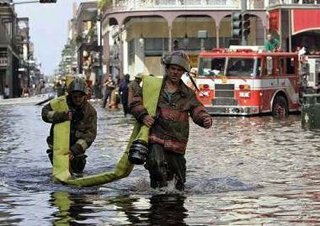 Only eight days after Hurricane Katrina hit the Gulf Coast, The Prem Rawat Foundation donated $75,000 to the Houston Food Bank (HFB), a member of America's Second Harvest network (ASH)—the largest domestic hunger-relief organization in the United States. ASH distributes two billion pounds of food each year, feeding over 23 million hungry people through more than 200 regional food-rescue organizations in 50 states. 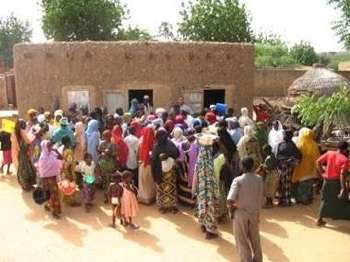 The Prem Rawat Foundation has made a contribution to the United Nations' World Food Programme (WFP) to bring emergency hunger relief to people in Niger. The contribution will provide food for 2,000 people for a month. Today in the Italian Senate, President Emilio Colombo, former Prime Minister of Italy, former President of the European Parliament and a lifetime Senator, hosted a ceremony during which Prem Rawat, founder of The Prem Rawat Foundation, made a contribution to Francesco Strippoli, Senior Advisor to the Executive Director of the World Food Programme, to help WFP in its effort to bring food aid to people in Indonesia. This contribution will provide food for 9,000 people for a month. For Mr. Strippoli: "This donation from The Prem Rawat Foundation helps fill a very real need. For the millions of people whose lives have been shattered by the tsunami, the crisis is far from over. This generous donation will help people rebuild their lives and give them hope for the future." More than 7,200 eye consultations were arranged by The Prem Rawat Foundation, which promotes and disseminates the message of peace of Prem Rawat, known also as Maharaji. Ophthalmologists and optometrists at the eye clinic provided free consultations, medicines, and more than 4,300 prescription glasses. More than 650 cataract cases were diagnosed and referred for further treatment. The week-long clinic was held in Chattarpur, near New Delhi, India, in partnership with Raj Vidya Kender, which promotes Maharaji's message throughout the Indian subcontinent. People from six neighboring villages received free consultations. The facility was staffed by six medical doctors and six optometrists. It included a covered area of 6,500 sq. ft. equipped with modern medical equipment. Rajani Gupta, a 75-year-old seamstress, said: "I could not see the needle anymore, and I was not able to afford glasses. Now I am able to work and support myself again." When the eye of Hurricane Ivan hit the Island of Grenada head-on a few weeks ago, it was a once-in-a-lifetime event. 90% of all buildings on the island were damaged. The Prime Minister's residence was among those totally destroyed. The Prem Rawat Foundation is now distributing batteryless flashlights to families in need on the Island. More than 850 eye consultations were arranged by The Prem Rawat Foundation. Hundreds of pairs of prescription eyeglasses were distributed to patients, who ranged in age from 6 to 97, and treatment was prescribed for those found to have eye infections. It included a covered area of 6,500 sq. ft. equipped with modern medical equipment. Dr. Alfredo Fort, MD, PhD, Director of Research and Evaluation for several international health organizations and a former senior advisor with the World Health Organization, declared after inspecting the clinic: "The standards of this clinic, in terms of medical services, hygiene, and care are significantly above the norm. The consultations are truly individualized: each patient is escorted by a nurse, their individual eye history is studied, and customized care and spectacles are provided to all patients in need." 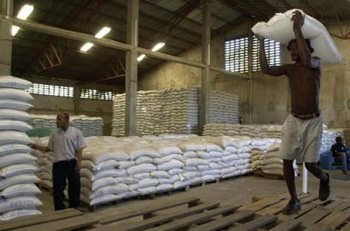 The Prem Rawat Foundation, which promotes and disseminates the message of peace of internationally known Prem Rawat, today announced it has donated all the necessary funds to the Ivory Coast's Ministry of Solidarity and Social Services for the purchase of 45 tons of rice. This government agency is directly responsible for aid distribution to assist refugees and victims of the civil war in this West African nation.